Is the bridge of your guitar separating from the guitar top? 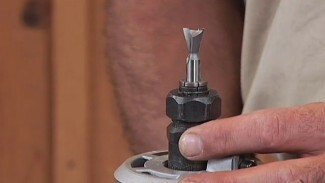 You can save big bucks by making the repair yourself. 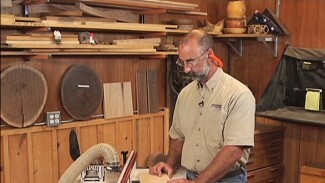 You probably already have all the woodworking tools you need in your shop to fix the broken guitar, and if you follow master woodworker George Vondriska’s step-by-step directions in this video, you’ll gain all the confidence you need. 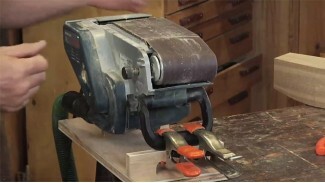 Turn your belt sander into a stationary machine. 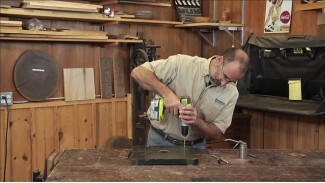 Master woodworker George Vondriska shows you the simplest way to construct a jig that will hold a belt sander securely to your workbench, making it easier and safer to sand typically difficult woodworking projects like small toy parts and irregular shapes.